Outdoor security camera systems are useful for both business and residential applications. These digital video security systems can provide perimeter or boundary coverage, provide advance alerts of potential guests or intruders, and provide real-time video surveillance of outdoor business structures such as buildings, towers, tanks, and many other items. 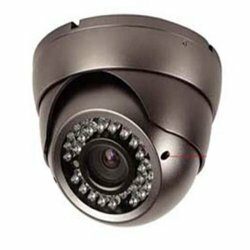 Outdoor security camera systems may be used as a monitoring system only where the camera is directly connected to a monitor or as a monitoring and recording system where the camera is connected to a Digital Video Recorder or DVR and a monitor. In either case one to several cameras can be used an connected to one or several DVRs and/or monitors. Most outdoor security camera systems operate in the following manner. The camera or cameras sends video data to the DVR (which also has an on-board video processor). The processor compiles the data into a digital video file which may be viewed instantly (live) on the monitor(s) or saved to the DVR for later use. If an outdoor security camera system does not have a DVR, the signal is sent directly to the monitor and is not recorded. Outdoor security cameras are basically the same as indoor security cameras except the cameras are housed in a protective enclosure. This enclosure allows the camera to operate, but protects it from the elements and other unnatural objects. This is important because if dust were allowed in the housing, the camera’s lens could become dirty or worse yet, moving parts of the camera could stop working or become damaged. Water could cause electrical shorts or rust metal parts. The first digit in the rating represents the protection afforded against solids; the larger the number the smaller the object the camera is protected against. The second digit in the rating represents the protection afforded against liquids; the larger the number the more intense the exposure to water that it is protected against. A good quality outdoor security camera system should have a camera rating of at least IP65. This means no ingress of dust and water projected by a nozzle will have no harmful affects on the equipment. As a matter of reference the IP scale ranges from 0 to 6 for the first digit and 0 to 8 for the second. Of course with the amazing versatility that outdoor security camera systems offer, there are many, many more applications in addition to the ones listed above. As you can see, the versatility in application of outdoor security camera systems is immense. A system can be created for just about any need. 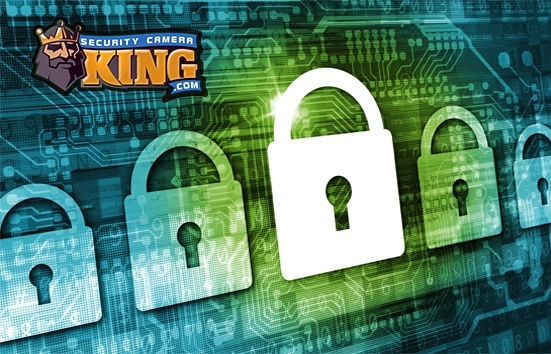 If you need more information, contact one of our security experts.